Sapodilla (Manilkara zapota) seed germination in about 40 days. 人心果/人參果的種子約40天孵出. These exotic fruit are from tropical climate. Best growing in warm climate in full sun to partial shade location. Light green/white flowers all year around. When fruit is ripe to eat/pick, you can press the fruit gently and feel the fruit is soften. 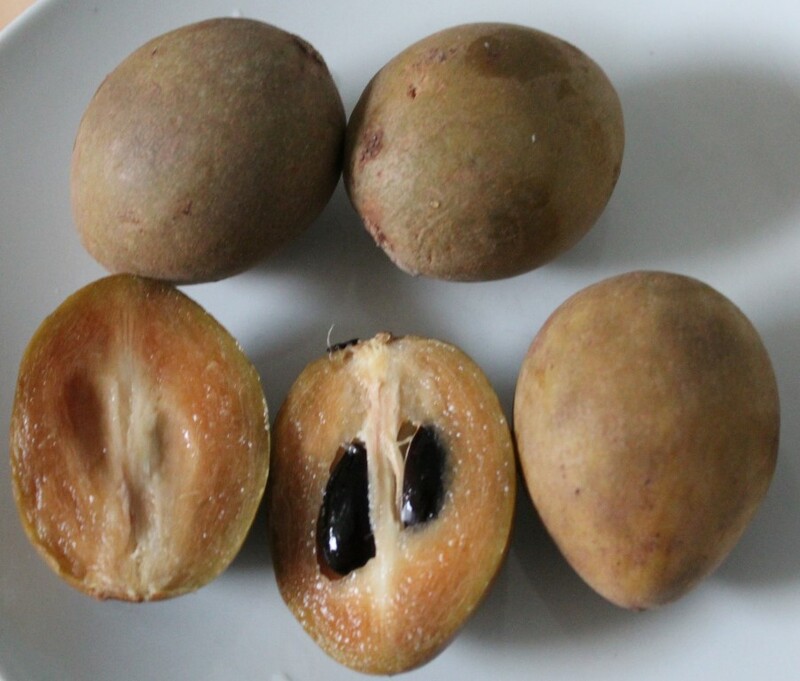 The flesh is soft, sweet and juice similar like ripe pear but I don’t find it has strong flavor. Still delicious! 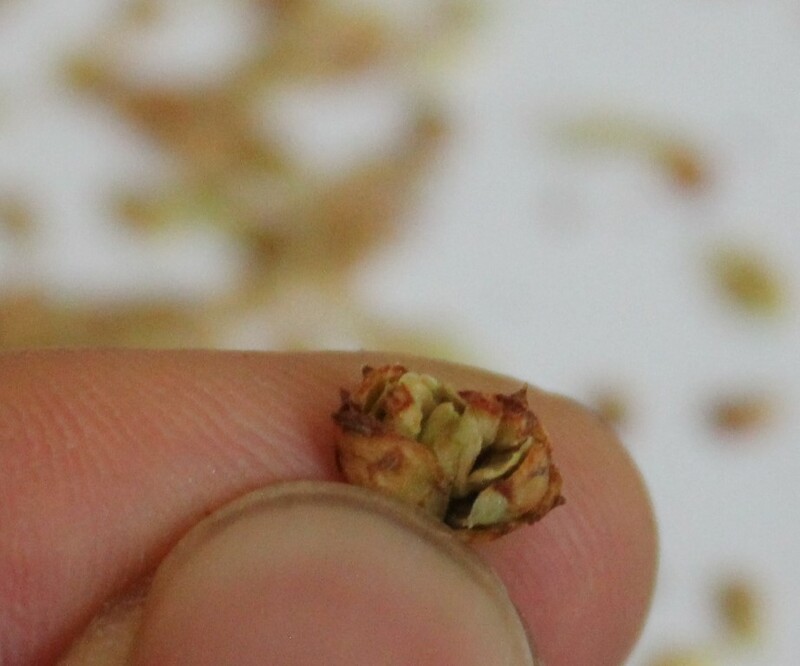 Growing the tree from seed to flower and fruit will take 6-8 years. Mature size:40’+(H)/(W). 它是較少見的熱帶水果. 喜溫暖的氣候區在全日照到半日照的環境生長. 淡綠到白的花朵全年都能盛開. 果實成熟需時很久才會變軟. 手指輕壓是軟的就能採收來吃了. 果肉軟,味甜多汁,吃起來接近熟梨的口感但我覺得果肉沒什麼香味. 不過也算是好吃! 由種子種到開花結果要6-8年. 成熟株高40呎,寬幅也是40呎. The tree white sap is called chicle, it is the main ingredient of chewing gum. Horseradish root with shoots bought from supermarket. 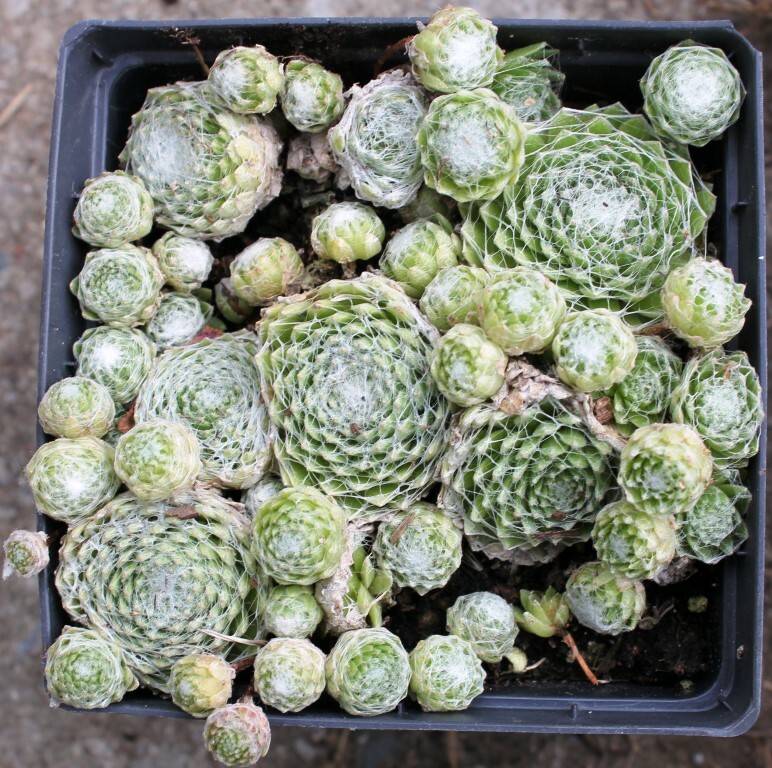 (Armoracia rusticana) 一般超市買來可以種植的辣根帶芽根塊. Very hardy perennial/herb/vegetable. USDA Zones:3-9. 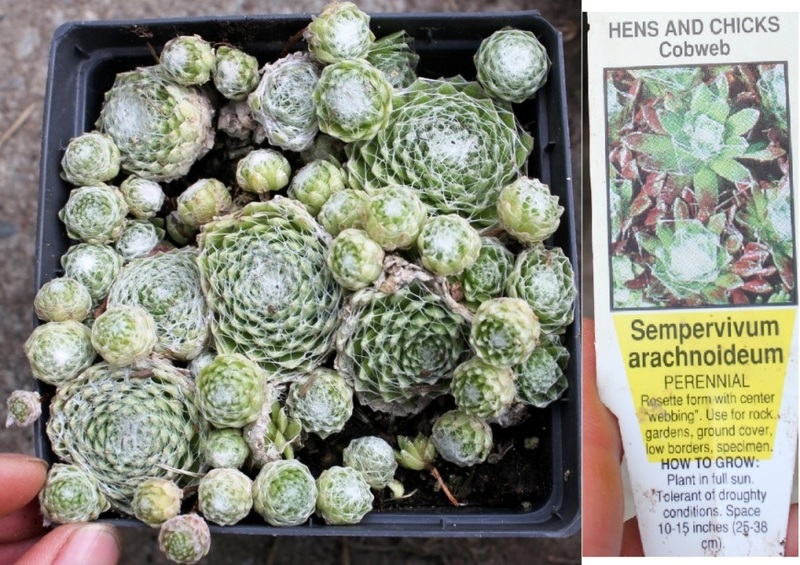 Very easy to grow from root/rhizomes/tubers/corms or bulbs (including offsets). I just got a small piece of root from supermarket. Best growing in full sun to partial shade location. Attract small white flowers in mid summer. Harvest its roots in the end of season. If you love spicy food you should grow this no maintenance vegetable! Mature size:1′-1.5′(H) X 1′-1.5′(W). Medicinal. 非常強健易種的多年生草花/香草/蔬菜. 很耐寒也耐熱. 容易以帶芽點的根塊來無性繁殖. 我剛從超市買了一小塊來種. 以栽種在全日照到半日照處為佳. 夏開的小白花還不錯看. 等植株開始變黃時到完全枯萎這期間均能採收其根來料理. 如果你是喜歡辛辣食物的人這個無須維護的蔬菜是蠻不錯的選擇! 成熟株高1-1.5呎,寬幅1-1.5呎. 可藥用. 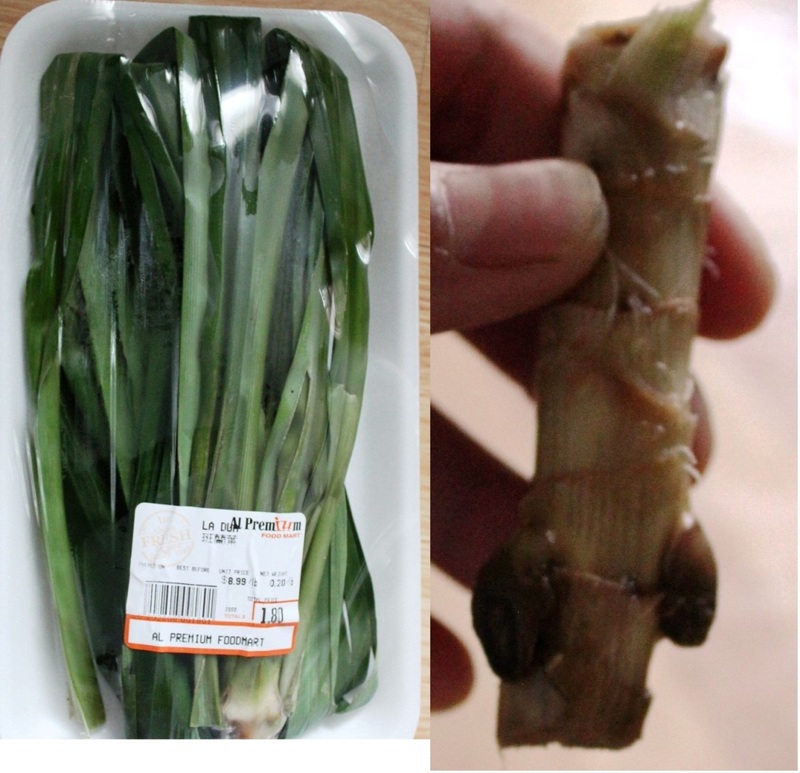 Pandan Leaves are sold in supermarket. You can grow from the stem easily. (Pandanus amaryllifolius) 斑蘭葉/七葉蘭/香林投超市都有賣,將莖留下來種就可以了. Pandan Leaves (Pandanus amaryllifolius) 斑蘭葉/七葉蘭/香林投. 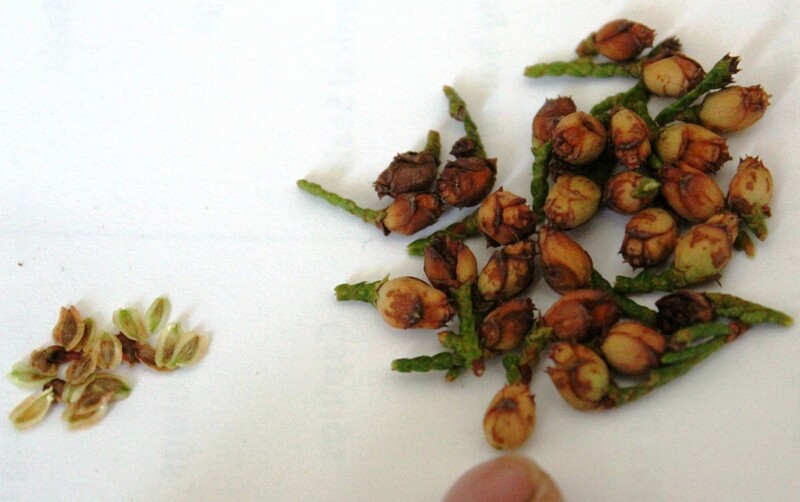 Pandan Leaves (Pandanus amaryllifolius) seeds. 斑蘭葉/七葉蘭/香林投的種子. Tropical plant mainly growing for its leaves. Aromatic leaves are used for cooking/desserts. Best growing in full sun to partial shade location. Very easy to grow. Here the image shows I bought a package of fresh leaves with very short stem from supermarket herb isle. The right side of image is the stem after I cleaned the leaves off. 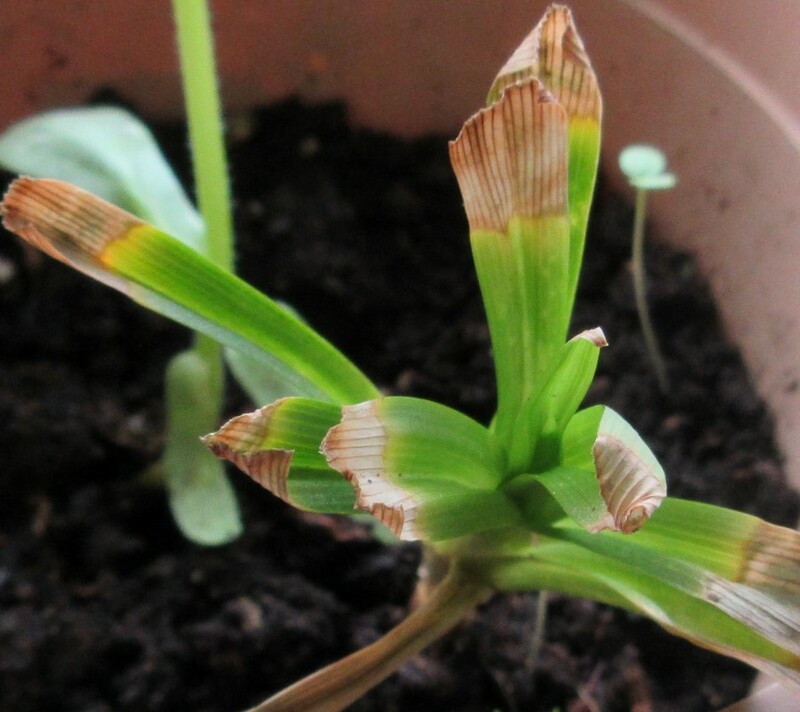 You can grow the stem in pot with moist rich soil. USDA Zones:9-11. 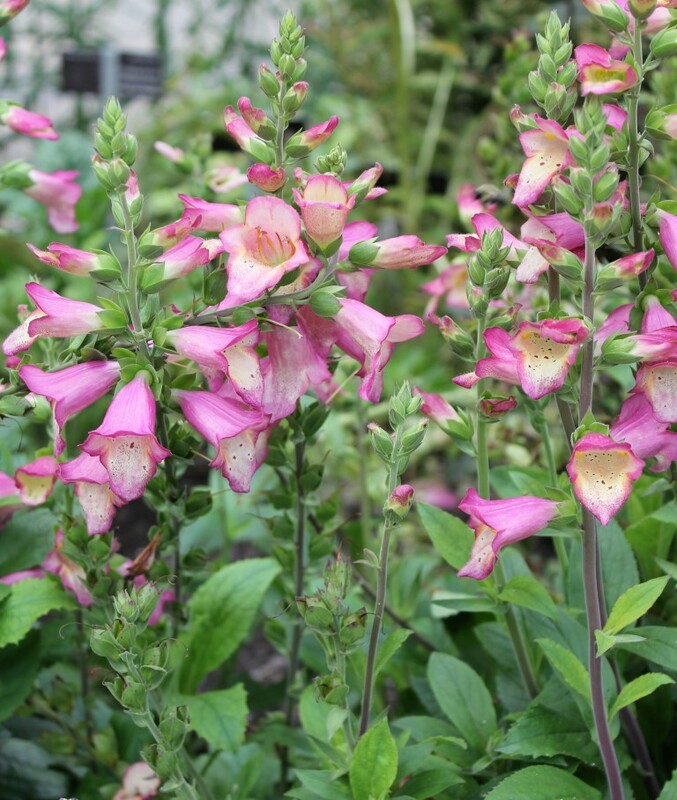 Mature size:10′-20′(H)/(W) but it is easily controlled by growing in a pot or pruning. Medicinal herb. Propagate by cuttings or division. 熱帶的植物其種植原因為取葉料理用途,常用於食物/甜點. 以全日照到半日照處為佳. 非常容易栽種. 如圖示熱帶的斑蘭葉/七葉蘭/香林投超市都有賣,將莖留下來種就可以了. 將其莖盆植種在肥沃的土壤中保濕即可. 它喜熱不耐寒. 成熟株高/寬幅為10-20呎,但可輕易以盆植方式或修剪方式控制植株大小. 它也是藥用香草. 主以扦插或分株來繁殖. A tender perennial/biennial. This variety is 2 color tones. Mature size:2′(H) X 2′(W). Not as tall as traditional type so no need to stake! Best growing in full sun to partial shade location. Beautiful deep pink outside and creamy yellow inside is very attractive. Flowers attract bees, butterflies and humming birds. Good for cut flower. USDA Zones: 8+. Toxic if ingested. 美麗不耐寒的多年生/二年生草花. 這個品種是雙色花. 成熟株高2呎,寬幅2呎. 沒有傳統的毛地黃那麼高到需要支架支撐! 以種植於全日照到半日照處為佳. 漂亮的雙色花朵外層是深粉紅色內層是淡鵝黃色,花色很吸引人. 花是吸引蜂蝶及蜂鳥的蜜源. 適合切花. 不耐寒,在溫帶地區當做一年生草花來養. 有毒勿食. Emerald Cedar growing cones in late summer. (Thuja occidentalis ‘Smaragd’) 北美香柏夏末結滿毬果. Emerald Cedars cones and seeds. (Thuja occidentalis ‘Smaragd’) 北美香柏的小毬果及毬果內的種子. Emerald Cedars cones and seeds. (Thuja occidentalis ‘Smaragd’) 北美香柏的一個小毬果內的種子,大約有5顆種子. 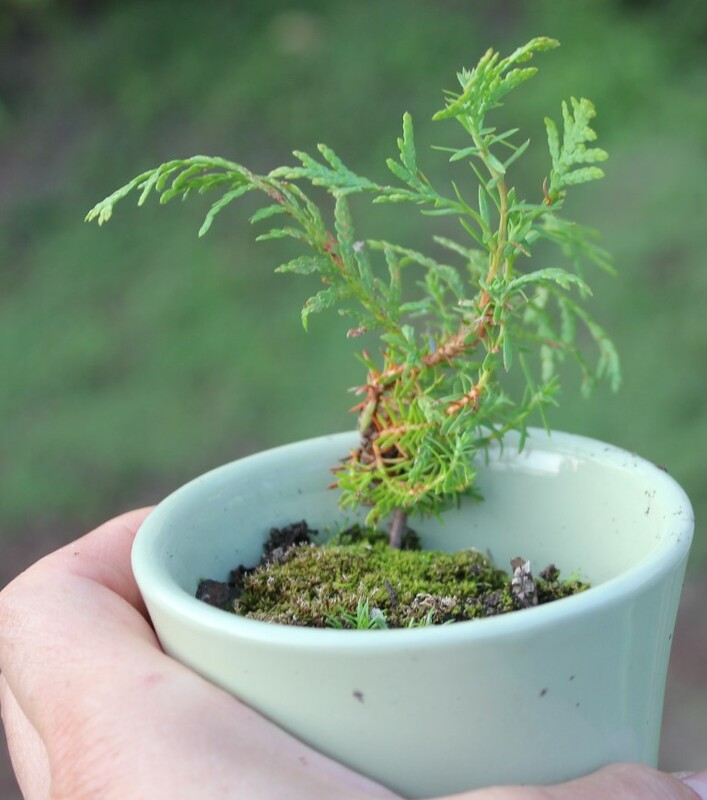 Emerald Cedars seedling. 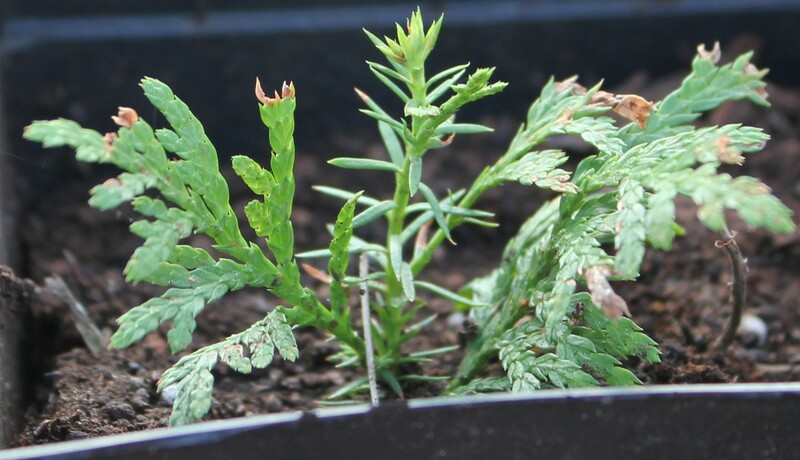 (Thuja occidentalis ‘Smaragd’) 北美香柏第一年的實生苗大小. 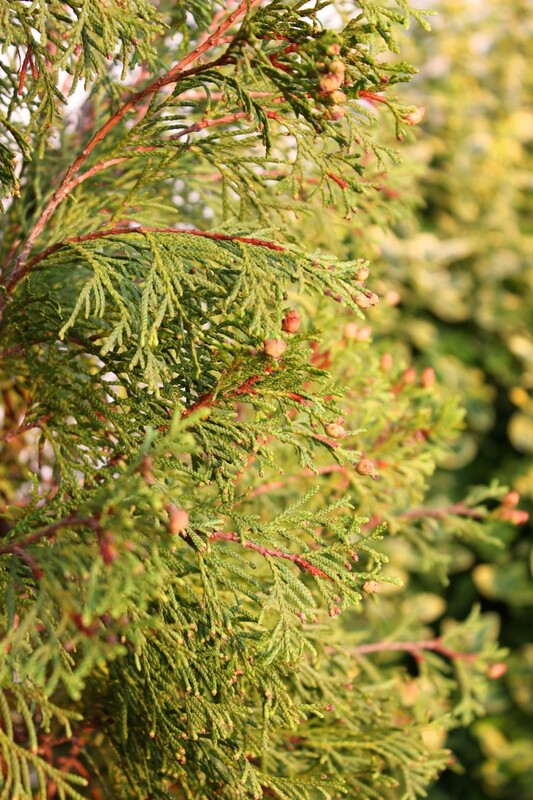 It is very common vertical evergreen tree grow as hedges/screen. Very easy to grow. Winter hardy and drought tolerant once established. USDA Zones:2-8. Mature size:10′-12′(H) X 4′-8′(W). Best growing in full sun to partial shade location. Water well after planting until the roots adopt the ground. It is needed to water them in dry winter. Trimming once a while to control height and width can keep them the best shape! 非常常見用於綠籬的直立型常綠樹種. 非常容易栽種. 生長適應後很耐寒耐旱. 成熟株高10-12呎,寬幅4-8呎. 最好種在全日照到半日照處. 剛種下要注意給水充份. 冬天乾冷時有必要給水. 偶爾修剪以控制高度及寬幅是必要的以使植株能維持在最佳狀態! One of the common water plants. Invasive. 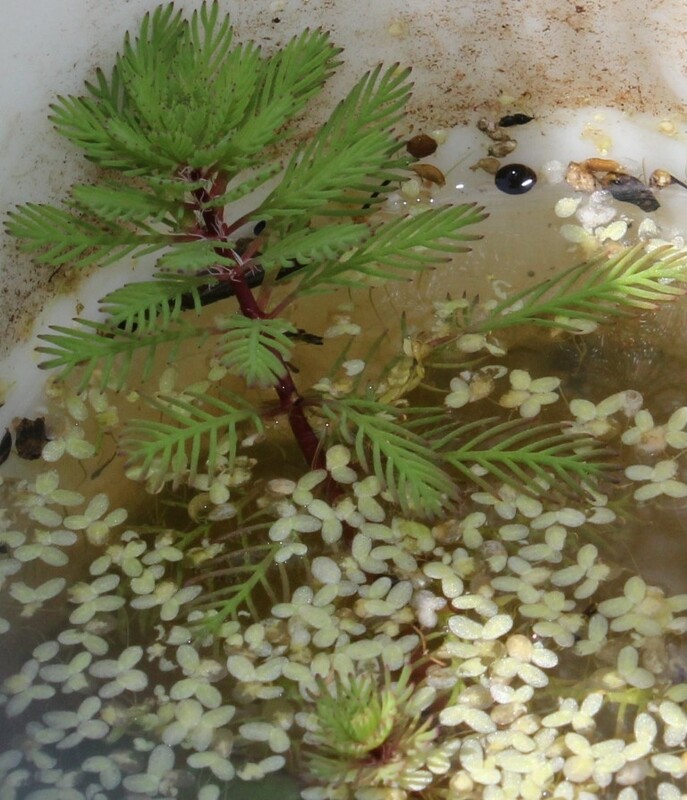 If you like this plant please only grow them in container or aquarium not in open water. Very hardy. Of course, everything has good sides in them. 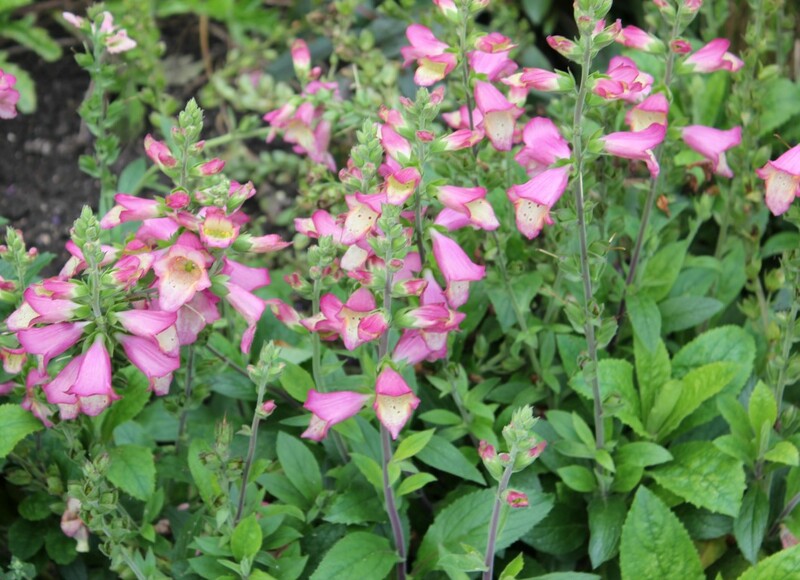 It has delicate foliage and interesting flower stems. USDA Zones:6-10. Mature size:6″-1′(H) X 6″(W). 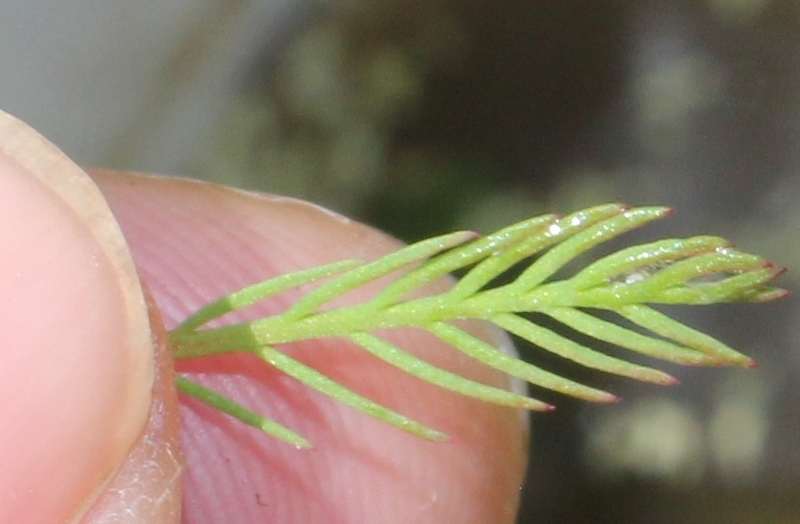 Parrotfeather Water Milfoil, Myriophyllum aquaticum (Synonym Myriophyllum proserpinacoides) this type has red tems which is more dwarf and manageable. Small yellow white flowers on flower stems grow above water surface. Foliage close at night. 常見的一種水生植物. 蠻強勢的. 小型池塘/容器或水族箱很合適種植它,不宜種在開放的水域以避免繁殖過剩. 這種有紅莖有時紅葉的品種高度較矮比較不強勢一點. 夏開黃白色小花於出水的花梗上. 多以分株或扦插來繁殖. 夜晚葉片會收合.